Alaska Republicans will elect a new party chairman at their convention in Fairbanks, April 28-30. In the last two days two people have announced their candidacy to replace outgoing Chairman Peter Goldberg, who recently announced he would not be seeking re-election. The two candidates are Tuckerman Babcock of Palmer and Ann Brown of Fairbanks. Babcock is a long-time Alaska politico who served briefly as Alaska Republican Party Chairman in 2000. He has served in a number of high-profile political positions including Executive Director of the Governor’s Apportionment Board, Director of Boards of Commissions for Governor Hickel, and Assistant General Manager of Matanuska Electric Association. Brown says she is a trial attorney and mother of two who has served in a variety of party positions over the past 20 years. She claims since being elected to the party central committee three years ago she has never missed a meeting. Our current chair Peter Goldberg announced he will not seek re-election at the ARP State Convention, to be held in Fairbanks on April 29-30, 2016. I want to thank him for his service. Since the position will be open, I have decided to run for Party Chair. In order to be successful, I believe the next chair will need broad support from party members. Accordingly, I am reaching out to you, my colleagues on the State Central Committee, as well as other party leaders and opinion makers, for that support. Following is a thumbnail sketch of my personal, professional and Republican background. I have been married to my husband Fred for over 30 years. We met taking and being sworn into the Alaska Bar. We have lived in Fairbanks all this time. After practicing law for many years, I retired to parent my young children who needed a stay-at-home mom. My children are now 26 and 24 years old, respectively. I am an experienced trial lawyer, and was the managing partner of my law firm’s branch office. I concentrated my practice in labor and employment law from the management perspective. I also did pro bono work for a large group of Christian churches in Alaska, and as such, I have experience representing clients with respect to free speech and First Amendment issues. My legal training and experience have taught me to be a strategic thinker. If any position requires strategic thinking, it is the position of ARP chair. Since 1986 I have worked for various Alaska Republican candidates and causes. Most recently, following redistricting, Kathleen “Mike” Dalton recruited me to run for District 4 Chair. Thereafter, I was also elected Regional Representative. As such, I have served for nearly 3 years on the State Central Committee and State Executive Committee. During my service as District 4 Chair have never missed a Central Committee meeting, and have attended all of them in person. Currently, I am overseeing the upcoming Presidential Preference Poll in Region 1, and our region’s district conventions. Additionally, Chairman Goldberg assigned me the task of organizing our ARP State Convention. Finally, at the request of the SCC, I was recently immersed in a study of our employment situation and funding matters, about which I wrote a comprehensive report. Based on all the work I have done for the Party, I am intimately familiar with many important aspects of its inner workings. Actively pursue fundraising through all legal channels possible. We must be able to offer our candidates as much monetary support as possible. We also need enough revenue to administer the party. Cooperate in legal challenges to restrictive APOC funding rules, in light of the Citizen’s United v FEC (2010 US Supreme Court) decision. Alaska Democrats have a fully funded staff including an executive director, a political director and a data director, but the ARP struggles to maintain its minimal staffing levels. As APOC rules are not balanced, political action committees for Alaska labor unions have the ability to donate to the Alaska Democrat party, but the ARP is not allowed to receive such contributions from businesses. My work as a trial lawyer, with experience in free speech and First Amendment issues, makes me uniquely qualified to lead the party through such a fight. Develop an ARP Organizational Chart so everyone in Administration, as well as SCC members, know exactly where to go for support. Since it is unlikely that the ARP can afford to hire an executive director in the current funding climate, it is important to have a Chair regularly in Anchorage. My husband and I own property in Anchorage, and I can be in Anchorage as much as I need to be, including on a full time basis. Use all technology and networking tools to recruit strong conservative candidates for office. Ensure those candidates have the full support of ARP when running for office, including adequate polling data, focus group information, volunteer support, and monetary support. Support District Chairs in their grassroots efforts within their districts. It is the job of Party leadership to ensure that the districts are assisted in their efforts to organize, raise money and find qualified candidates, without trammeling on the authority given to district chairs and district committees under the ARP Rules. In all matters pertaining to the ARP, I will listen to and be respectful of your ideas, initiative and hard work. All SCC members will have an equal seat at the table. In short, I have the education, training, experience, drive and work ethic necessary to lead the ARP. Are you willing to join me in moving the party forward? If you have thoughts or questions please reply to this email, or feel free to call me at 907-378-7673. I would appreciate the opportunity to talk to you about all of my ideas and experience. I hope each and every one of you are able to vote in the Presidential Preference Poll on Tuesday, March 1! We will be the last state to report on Super Tuesday, and I think the whole nation will be watching! Thank you to all the volunteers who have made this possible. Kristie and I will be volunteering at the Soldotna Sports Center with Districts 29, 30 and 31. When you think about it, it is really remarkable that an all volunteer crew will be pulling this election together. This is grassroots democracy in action: keep calm, carry on and have patience! I also wanted to let each of you know that my wife Kristie and I have decided that this is the right year for me to place my name forward as a candidate for Chairman of the Alaska Republican Party. I have included a statement on why I am willing and interested in serving in that volunteer post and a statement on my qualifications and experience with this email. My sincere appreciation and thanks go out to our current Chairman, Peter Goldberg, for his voluntary service and to our Vice Chairman, Frank McQueary, for his voluntary service as well. Neither gentleman is seeking reelection, so those of us going as delegates from our District Conventions to the Republican State Convention in Fairbanks, April 28-30, will some have some key decisions ahead. Please feel welcome to contact me with any questions, thoughts, advice, or expressions of support! My cell is 907-394-4910, emai ltuckermanr@hotmail.com, or message me on Facebook. Tuckerman Babcock has been an Alaska resident since 1966. He has lived in Ketchikan, Bethel, Unalaska, Anchorage, Wasilla, Palmer, Juneau, Kenai and Soldotna. He is married to Kristie Babcock and together they have eight children. Their first grandchild was born in January 2016. They live on the Kenai Peninsula where Kristie is a State Farm Agent and Tuckerman has been a full time parent since 2009. Tuckerman has been involved in Alaska politics since graduating from Steller Alternative School (Anchorage) in 1978, beginning with his first job as a clerk in the Division of Elections. He has served as Precinct Officer, District Chairman, SCC Bonus Vote, State Vice Chairman, and briefly as State Chairman (2000). He was Co-Chairman with U.S. Senator Murkowski of Victory ’96 (Dole Presidential Campaign in Alaska) and was part of the State Leadership Team for the Steve Forbes Presidential Campaign in 1996 and 2000. He has been actively involved in campaigns for School Board, Assembly, State House, State Senate, U.S. Senate, and Governor. He served as Executive Director of the Governor’s Reapportionment Board during 1991-1992. He also served as Special Assistant-Constituent Relations and Director of Boards and Commissions for Governor Walter J. Hickel. He has worked as a Legislative Aide in the Alaska State Legislature for three Representatives and two Senators. Tuckerman’s other professional experience includes serving as a Commissioner on the Alaska Oil and Gas Conservation Commission (1993-96) and working as Manager of Government and Strategic Affairs, Human Resources Director, and Assistant Manager at Matanuska Electric Association (1999-2009). Tuckerman earned a BA in Government from Wesleyan University in Middletown, CT in 1983. Tuckerman Babcock is a candidate for Chairman of the Alaska Republican Party at the 2016 State Convention, April 28-30, in Fairbanks, Alaska. Fellow Republicans: My wife, Kristie, and I have decided I will be a candidate for Chairman of the Alaska Republican Party. We realize this is an unpaid, voluntary position which requires a great deal of travel, effort and work. We have shared my experience and qualifications on a separate biography. Why do I wish to serve? There are two great teams in American politics. The Democrats, the liberal team…and our Republican, conservative team. There are many members on each team, and not everyone has the same function, the same perspective, or even the same view of the political world. To build our team, to win with our team, to change our communities, our state and our nation, the team must work together, train together and vote together. All for one, and one for all…because where this great nation is wandering under liberal government is a bankrupt place none of us want to go. My hope is to be a Chairman that encourages every member of our team; who helps to train, challenge and involve every member of our team. I recognize, as we all do, that no one agrees with anyone all the time. It is human nature to talk about, to debate and to get very agitated about those very few issues where we may disagree. What fun is it to get together and talk about the 85 percent of issues where we agree? But being a Republican Party officer is not about arguing amongst ourselves about specific issues. Our District, State and National Conventions are the arenas where specific issues are considered for our platform and resolutions. The Republican primary is also a proper arena for debating issues, principles and philosophy. As individuals, we are responsible for nominating Republicans that best represent our views, that we believe can win and that have the character and wisdom to best serve. Debate is healthy, and issues are vital, but when acting as the leaders of the Alaska Republican Party we act with a different purpose. As the members of State Central Committee, those debates are just not our job. As Chairman, that will not be my job. My job will be to pull us together as a team, bringing our energy, our knowledge and our skills to build the relationships, acquire the experience and the earn the trust that together will allow us to see the Democrats on the run in every community, City, Borough and District in Alaska. We must all strive to operate at the next level…the level of leaders. As party officers, our attention must be upon victory of our conservative team over the liberal team. As individuals, we care deeply about many issues. We do not always share exactly the same views, passions, or opinions. However, we are not the lawmakers. Our elected officials are the ones who must play the cards they are dealt in whatever context they find themselves. It is they who must decide which piece of the policy puzzle fits best as they do the job they were elected to do. Our job is to promote with our fellow citizens the principles of the Republican Party as outlined by our national and state conventions. Our job is to work hard to ensure every Republican candidate wins their election. That is the focus I hope and pray to bring to my working relationship with each of you, with my volunteer efforts to train our team, raise money, educate potential voters, mentor candidates, and elect every Republican nominee. Together we can eagerly, happily and proudly share our conservative philosophy, reaching out to every Alaskan! I am asking for your support at the Republican State Convention in Fairbanks, April 28-30. May God bless you. 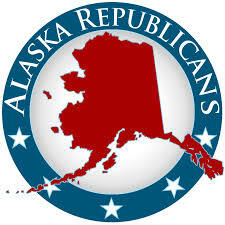 Be the first to comment on "Two announce candidacy for Alaska Republican Party Chairman"